2015 MAZA JAPAN-TAIWAN HIGH SCHOOL EXCHANGE SERIES Kicked off. 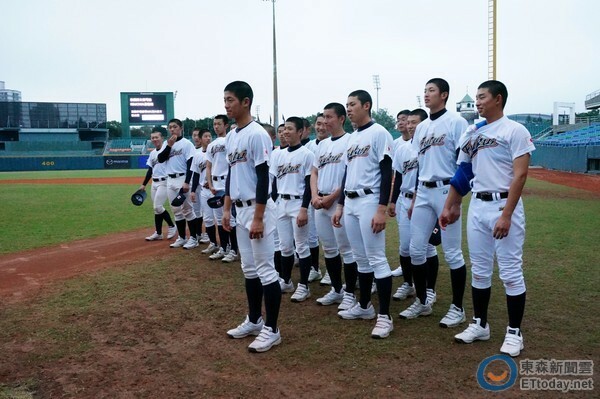 Prior to the start of the 3-day high school series from December 25 in Taipei, the 3 All Star teams from Japan practiced at Hsingchuang Stadium on December 24, beginning with Ehime which arrived in Taipei first on the day before. After the finish of training session, Ehime players stayed in the ground, helped their counter-part and host Kao Yuan’s team members their clean-up duty and said in unison “Thank you!” to the hosts in Chinese. TSAI, CHENG-YU (蔡鉦宇) who plays baseball at Takushoku University in Tokyo after finishing Hachinohe Gakuen Kosei High School in Aomori acts as an interpreter for the Japanese teams explained to the media in Taiwan that such an act is a common practice in Japan to pay respect to the baseball ground and its people.